KATHRYN KLINE/THE EXPRESS Pilot Amy Gesch, of Minnesota, poses with a yellow Piper Cub airplane. Her 1946 J-3 Cub is absent from the Fly-In this year due to repairs. LOCK HAVEN — Since Piper Aircraft was founded, strong and spirited women have been deeply involved in the inner-workings of the company. These are women like Sheila Scott, a British aviator, born in 1922, who was a demonstrator for Piper Aircraft in the 1960s to fund her passion for flying — and who broke more than 100 aviation records between 1965 and 1972. Juanita Pritchard Bailey, of McKeesport, Pa., is another memorable figure; she worked as a ferry pilot for Piper distributors in the mid-1900s, delivering nearly 100 aircraft over the course of her career, including many J-3 Cubs. Bailey flew new aircraft from the Piper factory in Pennsylvania to faraway delivery points, including Panama, Central and South America, and Alaska. Keri-Ann Price, of New Hampshire, a pilot and fly-in volunteer, stands in front of a Piper L-4 airplane — the exact same type of plane she is currently building from scratch. Bailey also helped in establishing the flight route for light aircraft between Lock Haven and Panama, flying with Col. John C. Adams, who was then the Piper distributor for Central and South America. The list could go on and on — it is clear to see that women were, and are, constantly working behind the scenes to help Piper Aircraft succeed. Today, aviation is still considered a male-dominated field, as it was in the time of these women in history — but that doesn’t mean a thing to the women pilots at the Sentimental Journey to Cub Haven Fly-In at the Piper Airport here. These women are a force to be reckoned with — and they want you to know it. Amy Gesch, a pilot from Saint Paul, Minnesota, is one of them. Amanda Baughman, of Hershey, Fly-In attendee and soon-to-be pilot, stands with her Taylorcraft L-2 airplane. “There are some people that will assume that you’re not a pilot, or that you’re here with your boyfriend or husband. I certainly wish there were more of us. The airplane doesn’t know who you are, or what you look like, or what your background is,” Gesch said. 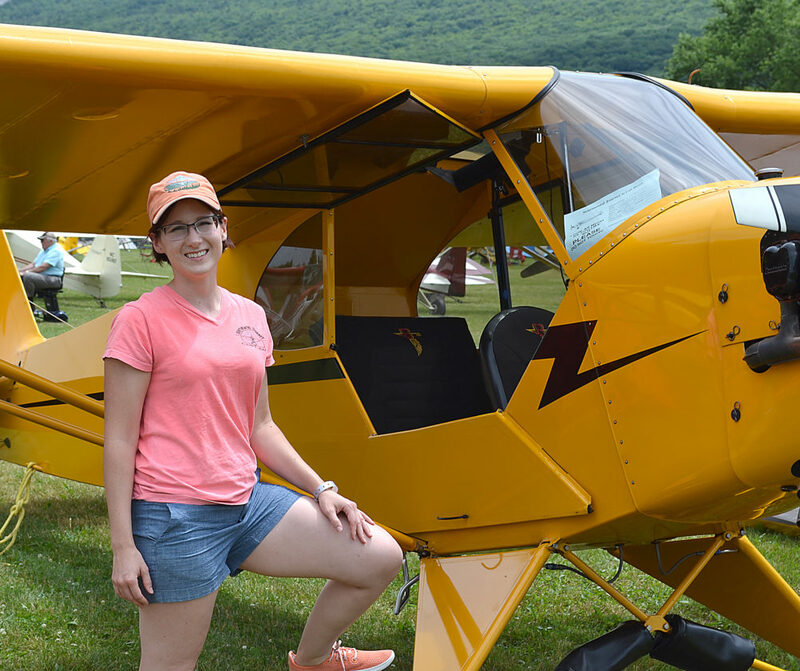 She has been attending the Fly-In since 2009, when she first got her pilot’s license, with June 19 marking 10 years since she began learning to fly. She owns a 1946 J-3 Cub, and though she wasn’t able to fly it this year, she hopes to have it repaired in time for next year’s Fly-In. 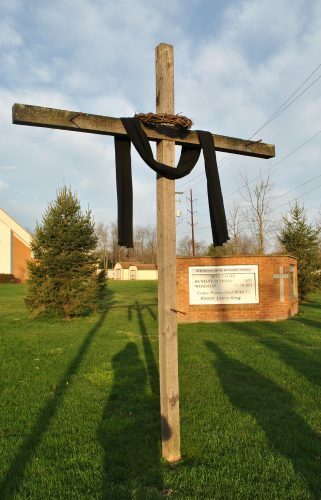 “My flight instructor and his wife are both pilots and they came out here all the time. So I flew out with them in 2009, and we took two J-3’s. I’ve been coming back ever since. With this being my eighth time here, it’s like coming home,” Gesch said. Not only does Gesch attend airshows for fun, including EAA AirVenture in Oshkosh, Wis., and Alaska Airmen’s Show in Anchorage, Alaska, but she also works in aviation marketing, which includes quite a bit of traveling. Gesch wants to make it clear that young girls who want to learn to fly should go for their dream. “The biggest thing is to be persistent; don’t get discouraged. You have to advocate for yourself, too. If you’re not clicking with a certain instructor or their instructional style — you can always switch. Do what’s right for you,” she said. 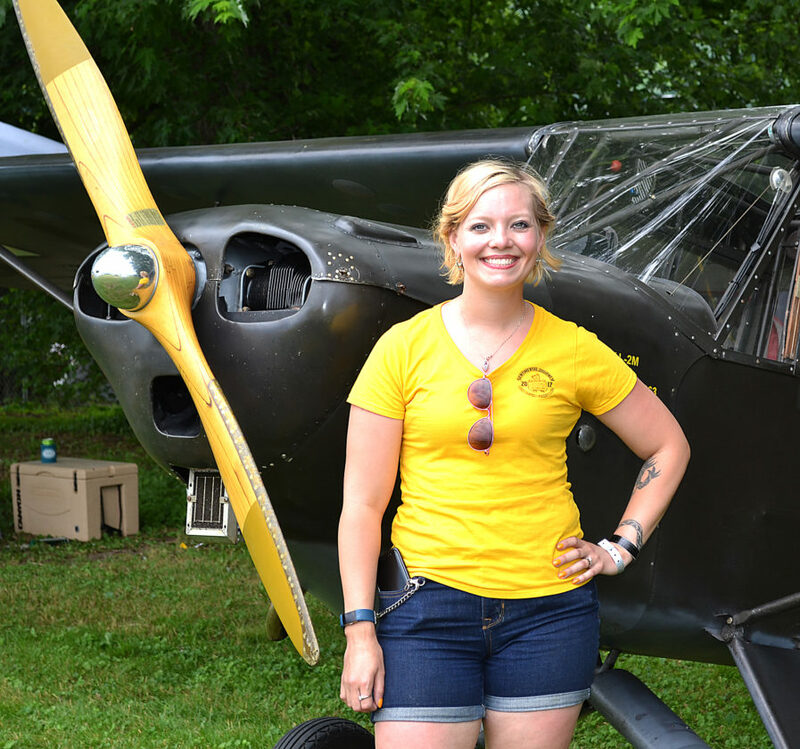 Other women involved at the Fly-In had similar sentiments, including Keri-Anne Price, a pilot from New Hampshire who is building a Piper L-4 from scratch. “Just do it. Don’t let anything hold you back from learning to fly. Keep the dream and never lose it,” said Price, who has been flying since 1973. Originally having dreams of being a commercial pilot, she was set back due to the nature of the aviation industry at the time, she said. “There were no women pilots back then, and you couldn’t break into that. It was always, ‘You could be a flight attendant.’ No airlines would even consider you — it’s changed a lot,” she explained. 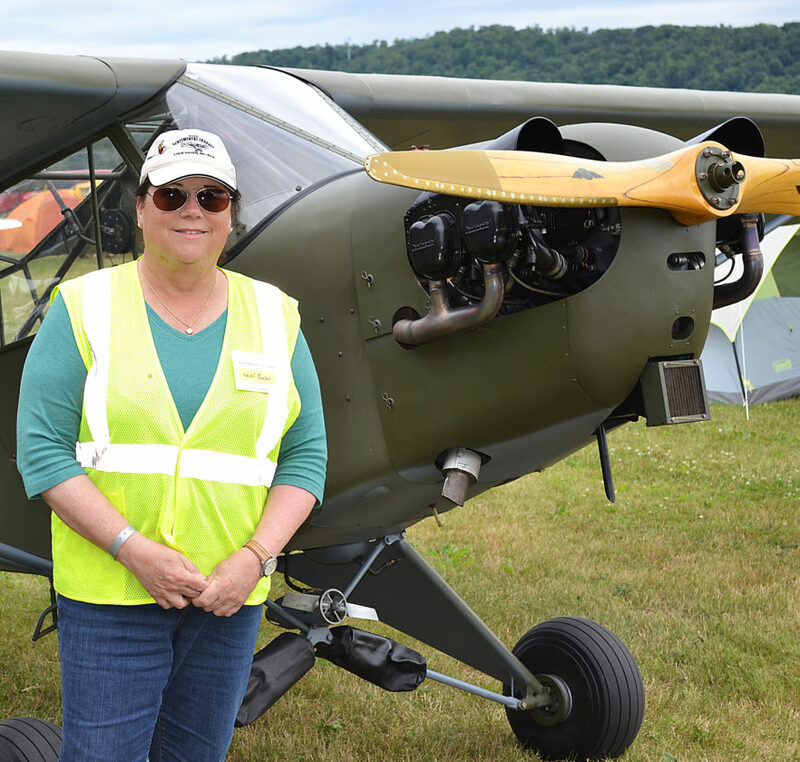 She has volunteered at the Fly-In since 2013, chaufeurring guests around the airfield, and like Gesch, she hopes to fly her finished Piper plane to next year’s exhibition. Since women pilots are less common, it seems when they do find each other, they quickly become friends, bonding over their commonalities. “The few women that are in aviation, we stick together. We all know each other, and we’re a close-knit group,” said Amanda Baughman, a soon-to-be pilot from Hershey. Baughman was trained in air-traffic control in the U.S. Army, before realizing that maybe she was on the wrong side of things. “It’s cool being up in the control tower — but it’s nothing like flying,” she said. Married with a 3-year-old, Baughman is currently working on attaining her private pilot’s license, not letting the busy nature of her life as a mom stop her. Her husband, Neil Baughman, is also a pilot, so she gets no shortage of air time. Baughman’s husband and his family have been attending the Fly-In for more than 20 years — though they don’t actually have any Piper aircraft, ironically enough. “We’re Taylorcraft people,” Baughman said. She and her husband own a Taylorcraft L-2, a World War II observation plane used to spot enemy artillery in the European Theater. 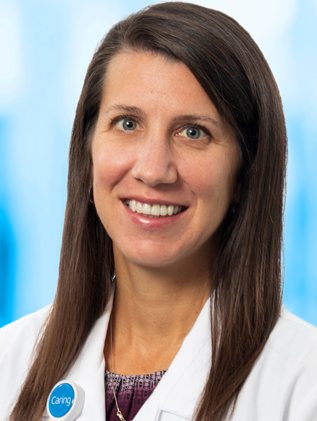 Baughman has determination and grit, and you can tell just from speaking with her — a common feature noted also in Gesch and Price. It seems that grit is what it takes to succeed as a woman in such a male-dominated field, and you can imagine how much more difficult it must have been even 50 years ago for women like Scott and Bailey, trying to break into the aviation industry in the 20th century. All of these women, from the historical figures in Piper history, to the modern women pilots of today, broke down barriers — making strides to shatter the glass ceiling — so that each generation of girls who have dreams of becoming a pilot will face less bias and more encouragement. “If you want to learn to fly, don’t let the mechanical aspects intimidate you, because I let it intimidate me for too long… follow your dreams. You can do anything,” Baughman said.